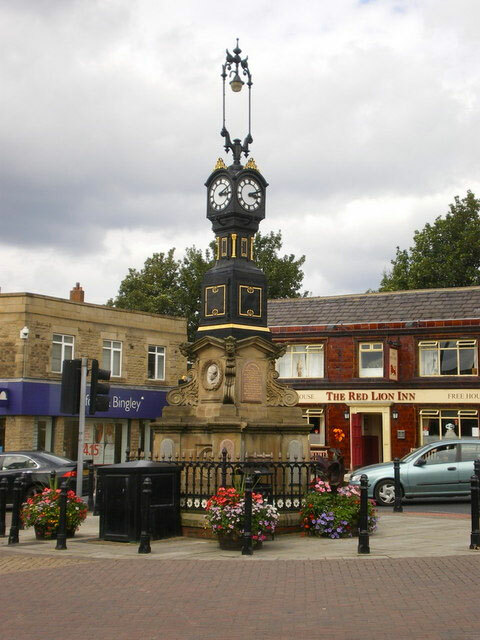 Heckmondwike is home to many businesses both large and small that require print services. Paper print products are the very lifeblood of many business enterprises and Heckmondwike is no except to this rule. Whether you need work pads, receipt books, job sheets, or just the usual stationary then you need to come to Ace Print. We provide our high quality print and design services to all kinds of businesses, people who are self employed, or individuals that need to get something a bit more personal designed and printed by a team of professionals that have years of experience in this field. The true breath of the products we can design and print is vast but below you’ll find just a small selection of the more popular printing services we offer to businesses and companies in Heckmondwike. When it comes to business printing you’ll be hard pressed to find a printer better equipped to handle your job than Ace Print. The decades of experience we’ve accrued over the years, printing for companies in Heckmondwike, coupled with a fully outfitted print shop means we can get the best out of your printing. We know how to provide top quality printed products at cheap prices thanks to our experience. We’ve learnt not only how to print well but how to print efficiently. This is how we provide our low cost printing to businesses in Heckmondwike whilst still maintaining a level of quality in our print service that you want and should expect. Past experience has also left us with the ability to give advice on the content of the vast majority of your printed goods. If you’re not sure exactly what to include on a job sheet, invoice, flyer, or the best way to maximise the impact of your flyers then we’re more then happy to lend you our helpful advice. We like to think we offer a full print and design service to companies in Heckmondwike, we’re here to help you. For your more personal print needs we can still offer you the great low level prices you get with our more generic printing plus you get all of our design expertise. Individual printed items often require a little more care and attention then more generic printed products and that’s one of the core reasons you need Ace Print for your personalised or custom print. There’s nothing like getting a fully bespoke wedding invitation, they are unique to your wedding and as they should be. We’ve printed a great many unique pieces of print for the people of Heckmondwike including one-off art prints and posters. We’re just as experienced in this area of print and, as always, if you have a basic idea but are unsure about the specifics then our design and print production team can help soften the rough edges and turn your ideas into a print reality. If you’re in Heckmondwike looking for personalised print items you really can’t do better than us here at Ace Print. Pure printing isn’t the only service we provide for the people and businesses of Heckmondwike, don’t forget you can take full advantage of our design team for any product or project you might have. We can design a vast number of print items but we’ve also got experience with other products and packaging, everything from standard printed box art to more bespoke design and fitting. It isn’t just limited to products though, we can also craft wonderful designs for websites that businesses in Heckmondwike will find suit their needs perfectly. All of our websites can be fully customised with the features you want and are optimised for smart phones, tablets, and other devices. Any design needs you have we can fulfil, if you need a graphic for social media, app icons, an image re-drawn, a new logo design or a full re-brand of your company we can help. Whatever print or design you might need we can provide it to you and many other companies or individuals in the Heckmondwike area. No matter how large, small, straightforward, or strange the job is we can help. Please contact us today using any of the methods detailed below.